This article identifies some of the hot new publications in the infectious diseases and antimicrobial stewardship literature released in January 2019. This list is derived from content circulating on Twitter. In this monthly column two pharmacists who utilize Twitter to stay current on literature (@ABsteward [B.G.] & @IDstewardship [T.G.]) identify some of the hot new articles in the fields of antimicrobial stewardship and infectious diseases. OVIVA is a randomized controlled trial that showed oral antibiotic therapy was noninferior to IV when used during the first 6 weeks for complex orthopedic infection. While an important study, there was notable heterogeneity within the study population. This retrospective cohort study found that a beta-lactam in combination with daptomycin failed to reduce mortality rates in patients with MSSA bacteremia as compared to beta-lactam monotherapy. This prospective, multicenter study showed that continuous/extended infusion of beta-lactams in cirrhotic patients with BSI may improve outcomes and facilitate earlier discharge. This retrospective multicenter cohort study showed that 30-day mortality was not different among hospitalized patients who received oral step-down within the first 5 days versus continued parenteral antibiotics therapy for the treatment Enterobacteriaceae bacteremia. This large cohort study for patients hospitalized for an asthma exacerbation treated with corticosteroids showed that 44% of patients received antibiotics during the first 2 days of hospitalization. 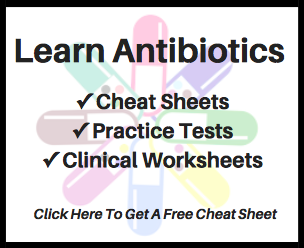 Patients treated with antibiotics had a significantly longer hospital stay, similar rate of treatment failure, and higher risk of antibiotic-related diarrhea.